Goa is literally synonymous with churches. They are living testimonies of the rich historical past of Goa. During the early days of the Portuguese rule in India, church building was the primary concern and occupation in Goa. This was because of their zeal to spread Christianity and convert as many people as they can. The Goan churches still have that old world charm and are very popular with the tourists who visit India. The church in Goa had much importance in the social life of the people there. It helped in the spread of education, built hospitals and helped people in their day to day troubles of life. 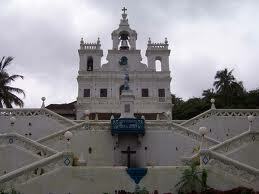 Check out our related sections about the famous churches of Goa.